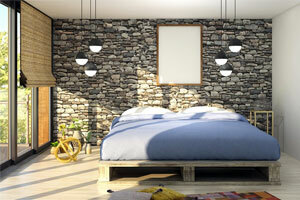 How Natural Stone Is A Sustainable Option For Home Decor? Natural Stone - Icon For Sustainability And Beauty In Homes Natural stones have been around since the first era of human history - the stone age. Though the architecture greatly relied on monoliths, humans have known the benefits of natural stone from the beginning. They are sustainable, attractive and versatile in nature. Coming back to the modern day, many iconic buildings around the world are standing intact with the stones salvaged from centuries-old buildings. Eco-awareness has spread all over the globe and people are increasingly showing interest in creating beautiful, timeless homes that are sustainable. Green, sustainable, and energy efficient homes are quickly turning into the new norm. Take for example India which is forging ahead to become a green building champion in the Asia-Pacific region. The country is witnessing a green building revolution with environmental regulations and nationwide health concern the key drivers. In June 2017, the Ministry of Power, Coal, and Renewable Energy announced financial rewards for homeowners who buy environmental-friendly homes. People who renovate their homes with sustainable materials could also benefit from the incentives. On the other side, it is worth mentioning that UAE is also advancing to attain its sustainability goals by 2021. The country comes third in the newest global ecological footprint chart of the Living Planet Report. Adoption of efficient and eco-friendly architecture is rising in UAE with an impressive number of initiatives. Dubai’s Sa’fat, for instance, is the latest initiative which focuses on promoting sustainable development while making ‘green practice’ a mandatory component of new constructions. While sustainability is becoming a key to building homes, natural stone is the best option in achieving sustainable yet beautiful homes. Explore its qualities and you are sure to consider them for your next project. Why People Choose Natural Stone As The First Choice For Their Home? Natural stone can stand intact for more than 50 or even 100 years with no deterioration in its strength, quality, and attractiveness. It can easily manage the high traffic areas in places including kitchen, bathroom, courtyard etc. It is widely used as a flooring material and countertops in the kitchen ensuring that stains, scratches, and heat do not ruin the aesthetic. Maintenance is one of the most important factors that people consider while opting for building material. 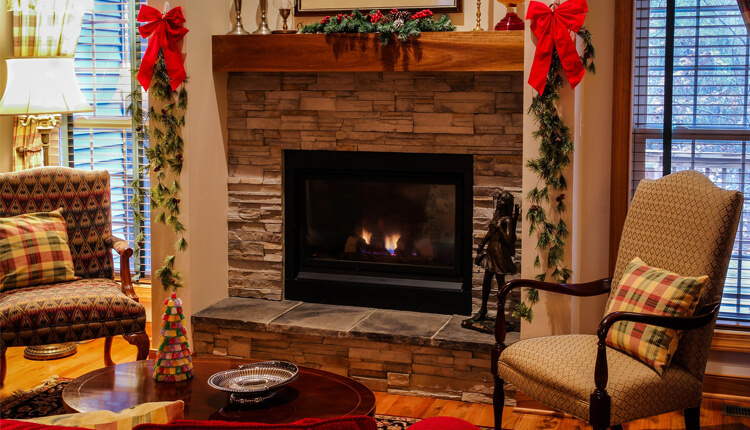 Natural stones are just one of those idle choices that are quick and low on maintenance. You don’t have to take care of them as such and just need to clean them with a little bit of soap and warm water. Besides, a number of non-toxic and environmentally safe cleaning agents made specifically for stones are an affordable and easy option to go for. The versatility of natural stone partially lies in its potential of being fully recyclable and reusable for different purposes over its lifetime. Salvaging and recycling stone is one of the most sustainable ways people can use the material to its fullest. For instance, stone salvaged from an old stone building can be reused as paving material, facade and retaining walls. Small flat stones can be creatively and strategically used in producing mosaic floor or wall design. Technology has made it possible to minimize the environmental impact of natural stone when it is processed. Today, the manufacture of stone is carried out with least resources while improving methods of quarrying, extraction, and fabrication. This has further made the natural stone a cost-effective and desirable choice amongst the people. Additionally, it has the potential to create minimal amounts of carbon dioxide compared to concrete, slate, timber or steel. We can say the natural stone is environment’s friend as it comes from the earth and is used in the unadulterated form. It is the original green building material that contains no toxic or harmful chemicals. With it, you can ensure your interior environment is healthy - a crucial element of sustainable design. Materials like wood, metal, and cement undergo contraction and expansion during seasonal temperature changes. These changes can cause potential damage or distort these materials. But in the case of natural stones, they remain consistent and untouched even in the most extreme temperatures. How Natural Stones Intensify The Beauty Of A House? An attractive interior and pleasing ambience are always sought-after by people when they choose among the variety of materials and design options available in the market. Amongst all, natural stone is the idle option and sustainable choice in creating elegant home interior. Stone can easily create a modern space that feels unique, natural and well-designed. Besides all, it can efficiently achieve aesthetic, performance and cost goals set by you. Stone is a kind of material that can never be called ‘outdated’. It comes with a wide range of textures, colors, shapes, and multiple finishes. The material has always been on the priority list of builders, designer, and consumer across the world. Be it a rustic shine or a trendy matte finish, it can create almost any kind of look. Natural stone is not manufactured but quarried meaning no two pieces are same. This feature makes the installation distinguishing. Also, the variations in texture and colors are so huge that each piece of stone adds a unique appearance that cannot be replicated. Stone creates a depth of sophistication and richness to a property. It fits well even in complex home interior projects which ultimately increases the property value. How QM India Can Reinforce The Home Construction Project? Quality Marble Exports is one of the leading natural stone exporters in India with its pillars established in 1991. We export natural stones to UAE and other parts of the world. Our company offers products that are par excellence in terms of quality, purity, and beauty. We provide premium raw construction material while meeting the installation needs. We also specialise in manufacturing custom designs that further increase the value of your business. QM India offers different types of natural stone products including slate, marbles, sandstones, limestone, granite, and quartzite with an attractive blend of patterns and colors. We own fully mechanised quarries that not just focus on delivering high-quality material but also act towards using resources sustainably. Hence, our products will also allow you to contribute to minimising pollution in the environment. Whether you want an antique look in your hallway or a modern look in your kitchen, we provide myriad choices to transform your interior into an icon. As leading exporters of natural stone, we are sure to go beyond your expectations. So, contact us today for a sustainable, low-cost and elegant solution for your home decor!